Still, as soon as Android developers get hold of Jelly Bean, they have uploaded Jelly Bean ROM and now you can download and install Jelly Bean ROM for your Samsung Galaxy S III (SGS3). 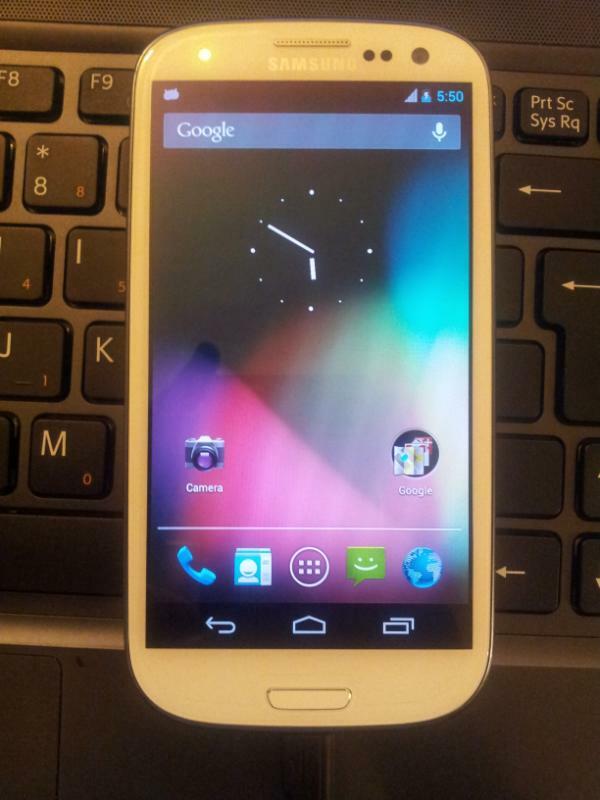 One XDA developer, Faryaab created the Android 4.1 Jelly Bean ROM for SGS3 and modified it using. CM9 Kernel. So to try this Jelly Bean ROM for your SGS3, you need to root your SGS3 first. Do note that after flashing Jelly Bean ROM in your SGS3, there are some functions that will work and some functions will not work since it is a very early version of the Jelly Bean ROM. Functions such as Wi-Fi, NFC, Bluetooth, file storage, MTP (Media Transfer Protocol), audio, camera and so on are not working. Charging, accelerometer, SMS, notification LED, touchscreen, hardware accelerator, ADB (Android Debug Bridge) and so on are working. Well, this Jelly Bean ROM is meant for you to get a feel of Jelly Bean and a workable version of Jelly Bean will be on the way. One more thing, do not use the Jelly Bean ROM with your external SD card as it will corrupt your SD card. Download the SGS3 Jelly Bean ROM here. Remember, you need to root your SGS3 first in order to be able to flash this ROM. Next story P1 (Packet One Networks) Finally Launched Their Own MiFi, MF230! Previous story iTunes Store Finally Available in Malaysia and 11 Other Countries!